Urban Accents is a Chicago based specialty foods company founded in 1996. Emphasizing premium, all natural herbs and spices, Urban Accents targets today's home cooks that are looking for something a cut above the norm. The company maintains an upscale, contemporary image through their branding and product line. I discovered Urban Accents while browsing www.snazzygourmet.com. I found the packaging of their grilling/BBQ rubs very appealing and decided to test some of their products. Snazzy Gourmet was kind enough to provide a sample of the Urban Accents Perfect Pork Cedar Spice Roasting Rub for review. Urban Accent rubs are stylishly packaged in 1.25 oz pouches. The rub is a mix of coarse and fine ground herbs and spices. "Perfect Pork" is unique in that it's not simply a variation on the brown sugar / paprika blends that are commonly used in BBQ circles on pork. I found the rub to be more earthy and savory than a standard pork rub. The rub does contain sugar, but I wouldn't classify it as sweet rub. Another unique characteristic of the rub is the natural smoke flavor. 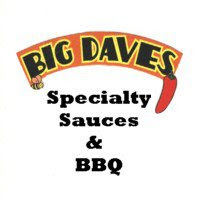 While this is a common element in BBQ sauces, I rarely see it used in powder form. I was concerned that it may be a bit bitter in powder form. As it turned out, the smoke flavor gave the rub a deeper complexity than I was expecting. I used the rub on baby back ribs and paired it with a sweet and tangy BBQ sauce. The salty, savory rub held its own, but didn't dominate the overall flavor profile of the ribs. I used the rub liberally giving each bone a bold flavor and aroma. My wife, who rarely comments on spice rubs, was even quick to point out the degree in which the rub enhanced the pork's flavor. With it's earthy and savory profile, "Perfect Pork" is great for grilling or smoking. However, roasting would be the application that I would most highly recommend this product for. Without the benefit of wood smoke or an open flame, oven roasted pork requires a bit of a flavor boost. The bold herbs and spices in "Perfect Pork" are more than adequate for turning a boring pork loin roast into something fresh and upscale. Note: Samples of this product were provided by Snazzy Gourmet. Check out www.snazzygourmet.com to purchase Urban Accents rubs or any of their other fantastic gourmet sauces, marinades, rubs and snacks. Don't forget to check out The "Q" Review's Product Reviews page to see the star rating for Perfect Pork Cedar Spice Roasting Rub. 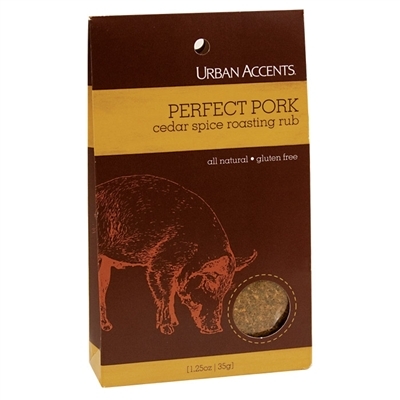 0 Response to "Urban Accents Perfect Pork Cedar Spice Roasting Rub"